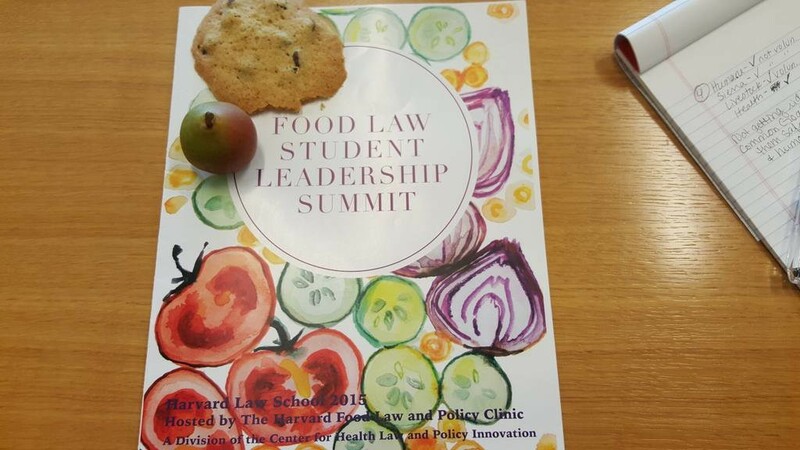 On December 11, 2015, Harvard Law Today published a story on FLPC’s recent Food Law Student Leadership Summit. 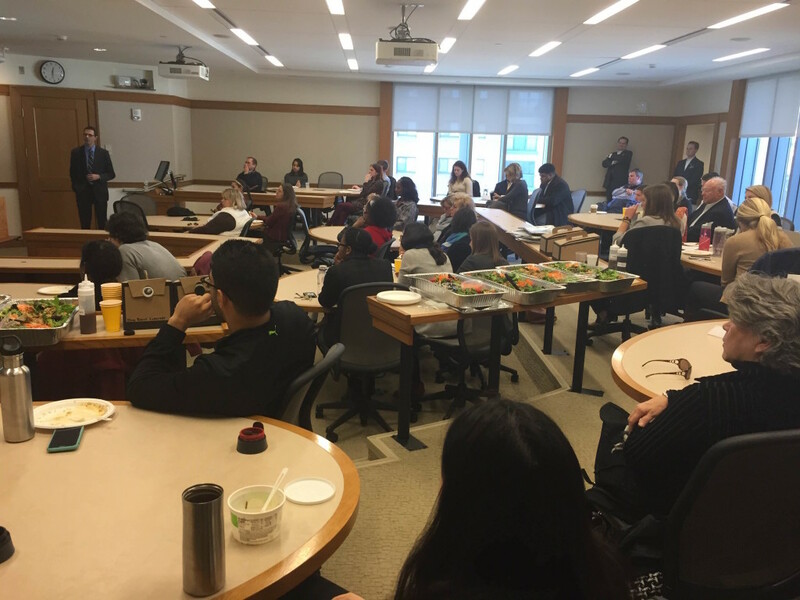 “Summit Convenes Future Leaders in the Emerging Field of Food Law and Policy” takes a look at the inaugural event the brought 100 food law students together at Harvard Law School. 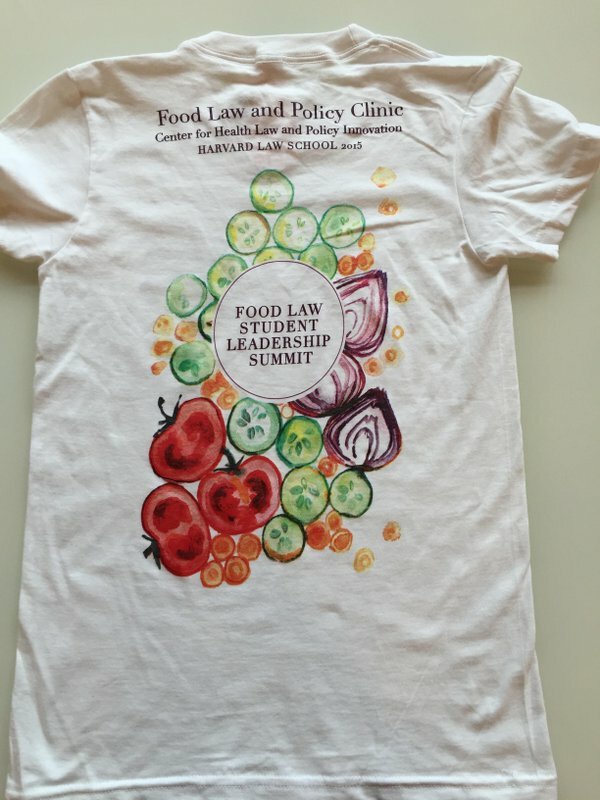 The Food Law Student Leadership Summit is just one of many initiatives for the Harvard Food Law and Policy Clinic. Over the coming months, FLPC will work with interested students to develop a national leadership structure, regional networks, a website and hub for resources, and cross-network projects. Read the full article on the Summit from Harvard Law School here. “Until recently, hepatitis C treatments were largely ineffective at managing the disease, and caused debilitating – and sometimes even fatal – side effects that left many patients hopeless in the fight against this silent killer. Thanks to innovative treatments that offer cure rates of near 100 percent with minimal side effects, hepatitis C patients now have an unprecedented chance to live virus-free, and avoid liver failure, cancer-causing cirrhosis, liver transplants and other health impacts. Read the full blog post about Hepatitis C and health disparities here. At the Food Law Student Leadership Summit, I had the opportunity to talk about food with people who feel as passionately as I do. Law students from all over the country came together to feed off each other’s knowledge and excitement (no pun intended); together, we developed ideas for legal remedies to improve the food system. Not only did we eat fresh, locally-sourced foods from local Cambridge and Boston businesses and food trucks, we also discussed the social, political and environmental impacts of food. Concentrated animal feeding operations, or CAFOs, were a major topic of discussion and the subject of the keynote presentation on Saturday night. I was ecstatic to discuss CAFOs because of their large impact on my native state of North Carolina. Poultry is a growing industry and the waste from food production negatively affects the air, water and health of the people living next to these large facilities and their adjoining waste ponds. From a legal perspective, challenging the food industry has many barriers but many of the speakers at the Summit identified that creativity, especially learning from different disciplines, is the best approach. Think about the lessons we can learn from workers’ rights, environmental justice, and public health. We also challenged ourselves to think about food access and which communities are able to obtain healthy and affordable foods. There continues to be a systemic gap between low socio-economic communities/communities of color and consistent access to affordable, healthy foods. Unequal access to nutritious food is not just a health problem, but also a challenge for community sustainability. One way to address this problem is to decrease food waste and teach communities about food preservation. As a country, we have to get on the same page that affordable, healthy food for all communities is a pressing issue. This summit was geared to discuss legal and policy strategies to encourage Americans to eat better and to push for more transparency from both food companies and federal agencies. Although the weekend was short, I left with good friends, good food, and even better ideas. The Delta Directions Consortium is accepting applications for the 2015 Delta Fellowship through February 15, 2016! The Delta Directions Consortium is an interdisciplinary group of individuals from academic institutions, nonprofit organizations, and foundations working towards change in the Mississippi Delta. Delta Directions believes that potential for progress and change in the Delta is so multifaceted and complex that its growth requires contributions from diverse professions, disciplines, and institutions. The Delta Directions Consortium exists at the intersection of research and practice, providing a united front for coordinated and collaborative efforts for change within the region. The Delta Fellow works both independently and as part of an interdisciplinary group to create transformational change in the Mississippi Delta region by improving public health and promoting economic development. The Delta Fellow’s work focuses on addressing this goal through pursing changes and improvement in a variety of fields, most specifically health, food systems, and economic development. The Fellow’s principal responsibilities include: coordinating Delta Directions Consortium members with each other and with other institutions; providing human capital and support to local community-based organizations and projects; researching, drafting, and editing comprehensive reports on selected issue areas; planning and supervising research projects and programs for Harvard Law students and students from local universities interested in working on health and economic development in the Delta; increasing communication and engagement with Delta Directions by maintaining updated content on the Delta Directions website and hosting periodic Delta Directions conferences; and developing, evaluating, and promoting supportive public policy within the Delta. The Delta Fellowship is an expected two-year commitment, subject to change or termination only in unusual circumstances. The Fellow is also expected to spend the first six months of the fellowship in residence at the Social Science Research Center at Mississippi State University in Starkville. This will enable the Fellow to become acquainted with the researchers and their activities at SSRC, and will give the Fellow the opportunity to present his/her work in an academic setting. The Fellow will be based in Clarksdale, Mississippi (in the Mississippi Delta) for the remainder of the fellowship, with routine visits to the Social Science Research Center for various projects. Learn more about the fellowship and how to apply here. It’s a bit of a dreary Saturday. The kind of day where it is so overcast that you look outside, know that it is day, but couldn’t say whether it is 10 AM or 3 PM in the afternoon. In my third year of law school at Emory, I would count this as the perfect day to barricade myself in the Emory Law library and catch up on my studying. Today, however, along with more than a hundred other students from 50 other law schools, I am roaming the halls of Harvard trying to find a classroom workshop on food safety. We are here at the first ever Food Law Student Leadership Summit because each of us has a passion for food law, a topic that for most people inspires the question: what is that? And is closely followed by: Is that a thing? For me, food law is about helping small and medium-size growers achieve a sustainable livelihood by producing healthy food. A big part of this is food safety. In my work prior to law school with the nonprofit Appalachian Sustainable Development, we used voluntary farmer compliance with the United States Department of Agriculture (USDA) Good Agriculture Practices (GAP) program for produce safety audits to market conventional and organic produce to wholesale buyers like Ingles and Whole Foods in the Southeast. While people have come to the Summit from a number of different backgrounds, for the first time in my life I haven’t felt alone in wanting to do legal work in this area. When we enter the classroom for the late morning session on food safety, we are greeted in the best way to that any food obsessed law student could ask for: a plate of homemade looking chocolate chip cookies, a bag of miniature pears, and a bottle of hand sanitizer. “Help yourself,” says Professor Baylen Linnekin, who will be leading the talk this morning. And we do—it’s just before lunch, and at this point, we are all ready for a snack. So, we return to our seats with cookies and pears and we dive into the topic for our discussion: will a single food safety agency make food safer? This past summer, the Obama Administration issued its proposal for a single agency for food safety. The idea has been circulating in congressional hearings for a decade—spurred on by major food safety outbreaks in bagged spinach and the Westland Hallmark scandal. The product of that national debate was an intermediate solution: the passage of the Food Safety Modernization Act (FSMA). The act significantly expands Food and Drug Administration (FDA) resources and jurisdiction over food safety, but maintains the current division of responsibility for food safety between several agencies. Whether a solitary food safety agency would make food safer is a difficult question, and we split into groups to brainstorm our ideas. First, we ask what are the motivations for a solitary food safety agency? While FDA and USDA bear the primary responsibility for food safety, at least 15 agencies administer at least 30 laws that relate to food safety. Certainly, it seems that solitary agency may create greater efficiency over the long run. And such an agency could fully adopt a preventative, rather than a reactive approach to food safety. However, many are concerned that a single agency may create a one-stop shop for lobbying efforts, and even increase the revolving door between the private sector and government. Next, what would it take to reorganize the regulation of food safety? Several of us raise the problems with creating a new agency from previously existing agencies. For example, when the border agricultural inspection services formerly administered by the USDA were absorbed under the Department of Homeland Security, the United States experienced a considerable spike in the introduction of invasive species. In the fight of bugs, drugs, and thugs for enforcement resources, bugs lost in a big way – but the cost was largely borne by farmers. In that interim period of reorganization for a solitary agency, could there be a similar risk of food being made less safe? Finally, would a solitary food safety agency make sense at this point in time? FSMA was just passed, and the FDA is expending considerable resources to implement it. The key mechanism through which FSMA operates is requiring the FDA to issue a suite of rules to address produce food safety, require preventive controls through the human food supply chain, require preventive controls through the animal food supply chain, and create requirements for third-party auditing of imported foods. Many of us in the room have been a part of the public process while FDA has issued these rules, and filed comments with the agency. 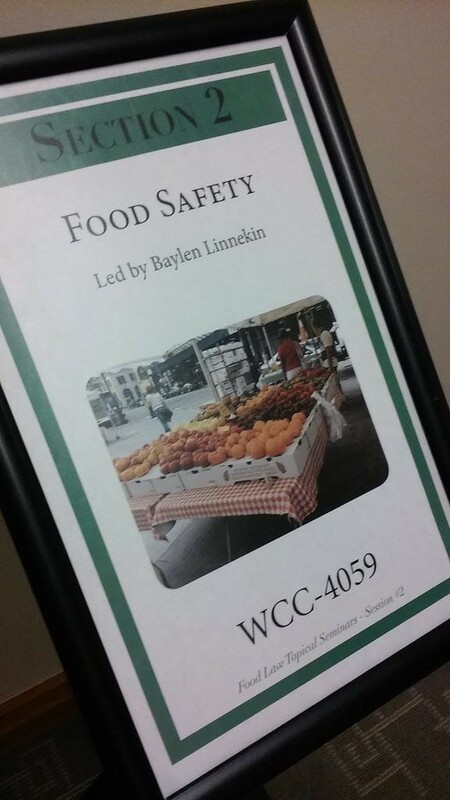 For some, it is their first introduction to food safety. Such diversity in experience creates a number of different perspectives. The whole picture is complicated by the fact that FDA has not been perfect in its attempt to play a larger role in food safety—its inexperience as a regulator in this area was revealed in its efforts to regulate brewery spent grains, and even its initial attempts to avoid preparing an environmental impact statement for the Produce Rule. But what is to say that a new solitary food agency would not experience similar growing pains? Should we abandon the attempt to have the FDA play a larger role in food safety before that effort even gets underway? There’s little doubt that the USDA would strongly oppose such a reorganization. The USDA already lost some ground in its role in food safety after FSMA, and the Secretary of Agriculture, as a cabinet level official, would likely vehemently oppose a further reduction in the agency’s jurisdiction over food safety. Our hour is up. We take a vote, and the group is surprisingly evenly divided between those who would oppose a solitary agency, those who would support a solitary agency, and those who remain undecided. Clearly, there are issues here that, even while most of us have experience working in this area, will need much more time to fully think through. But our most important lesson is yet to come. Before we leave, Professor Linnekin asks how many people had used the hand sanitizer before grabbing a cookie. Myself and two others raise our hands. Yet, none of us asked where the cookies came from, whether the pears had been washed, or had gone out to wash them ourselves. The reality is, an incredibly high percentage of food borne illness results from improper handling. We all know we should clean our hands before we eat, that we should wash our produce, but we often don’t. Yet, we are willing to push the responsibility for food safety back onto the farmer. While we are future lawyers, we are also consumers too. In the fight for a safer food system, we can’t forget that the burden is also on us as consumers as well as the growers of our food. Today, Maine Congresswoman Chellie Pingree introduced the Food Recovery Act, a groundbreaking comprehensive piece of legislation aimed at reducing food waste and promoting food recovery. The Food Law and Policy Clinic (FLPC) enthusiastically supports Congresswoman Pingree’s bill, which incorporates many of the key policy changes recommended by FLPC. FLPC staff and students believe that food waste is one of the most pressing environmental, social, and moral challenges facing our food system. The Food Recovery Act includes valuable reforms in key areas in order to increase food recovery in our nation. 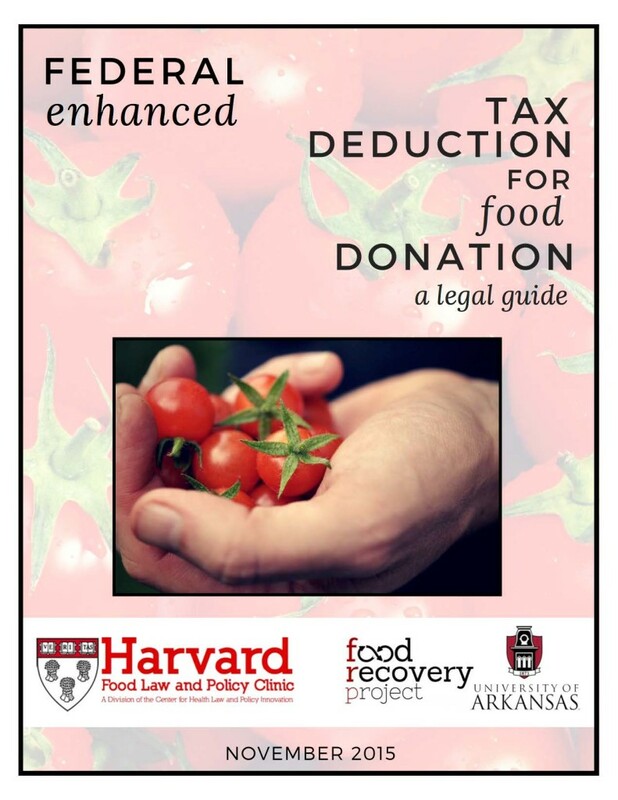 First, the Food Recovery Act includes various provisions to encourage farms, groceries, restaurants and institutions to donate excess food to food recovery nonprofits. The legislation strengthens federal tax incentives that can increase food donations and recovery efforts by offsetting the costs associated with food donation. Notably, the Food Recovery Act will permanently extend the enhanced tax deduction, which is currently only available to C-corporations, to all business entities. In the absence of this legislation, businesses that are not organized as C-corporations are only eligible for the general tax deduction, which is too low to offset the many costs incurred with food donation. Extending the enhanced tax deduction to all businesses on a permanent basis will encourage more businesses to participate in food donation. The bill will also extend enhanced tax deductions to businesses that donate food to innovative non-profit retail models, which are excluded under the current law. Non-profit retail models that re-sell donated food at low-cost provide a more sustainable approach to addressing food insecurity while increasing food recovery. The current limitations that only allow the enhanced deduction for foods that are given away for free poses a significant barrier to these non-profit retail models. Along the same lines, the Act proposes to update the liability protections available for food donors by covering donations to these non-profit retail models. The extension of the enhanced tax deduction and liability protections for donation to these innovative organizations will encourage donation to additional food recovery organizations that offer great promise for serving those in need. Second, the Food Recovery Act addresses the pervasive challenge of consumer confusion over date labels. Most consumers do not know how to interpret date labels like “best by,” “sell by,” or “use by.” While these labels are generally intended to indicate a food’s peak quality, study after study has shown that consumers believe these dates are actually indicators of safety. This consumer confusion is exacerbated by the lack of a uniform, national system for date labeling. Further, FLPC research published in 2013 showed that in the absence of federal law, many states enforce a variety of inconsistent regulations on date labels, some of which ban the sale or donation of safe, wholesome food after its printed date. The Food Recovery Act provides for a sensible national system for food date labels that will reduce waste while maintaining food safety. The bill standardizes food date labels, giving consumers two messages they can easily understand: quality dates will bear the uniform phrase “Best If Used By,” while safety dates—used only on foods identified as high risk on a list to be created by FDA—will utilize the uniform phrase “Expires On.” This uniform system for date labeling will reduce consumer confusion, simplify regulatory compliance, and cut food waste across the supply chain and in consumers’ homes. The Food Recovery Act also provides funding to USDA for consumer education and awareness, including related to the new date labels, which can help ensure consumers are familiar with the labels and able to use them properly. Finally, the Food Recovery Act will modernize the food practices of government institutions in order to encourage them to reduce their food waste, modeling these best practices for individuals and institutions. The bill will establish the USDA Office of Food Recovery, which will coordinate federal activities related to measuring and reducing food waste. 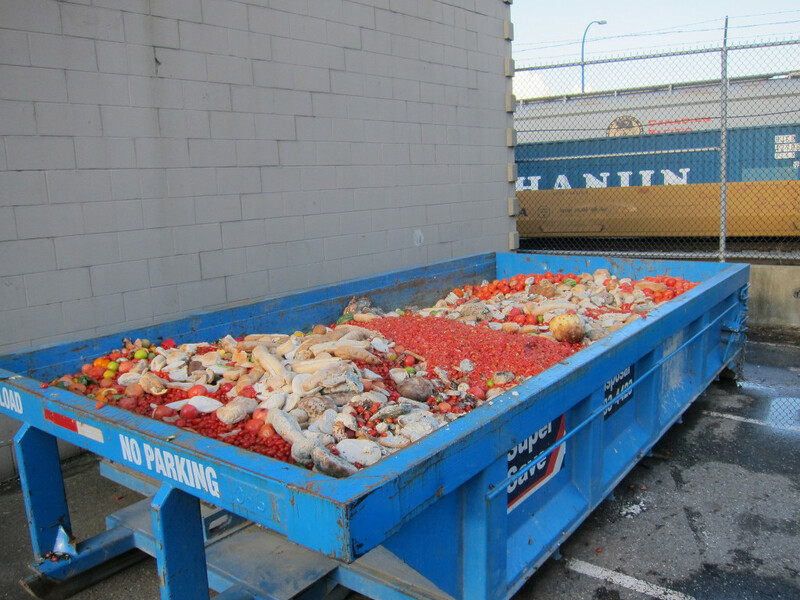 This office can provide a directive plan on how to successfully achieve the newly-announced USDA and EPA food waste reduction goal of halving the amount of U.S. food waste by 2030. The bill also strengthens enforcement of the Federal Food Donation Act, which requires the donation of excess food by any company that receives a contract for food service on federal properties. Additionally, the legislation support changes to the National School Lunch Program procurement rules to encourage purchasing of lower-price non-standard size or shape produce, as well as provide fund projects that help schools connect with farms to decrease food waste. Food waste leads to wasted money on the part of businesses and individuals, harms our environment by causing us to waste the many natural resources that go into food production, and is inexcusable in a nation where so many people in need could benefit from access to this healthy, wholesome food. FLPC is thrilled to work in support of the Food Recovery Act, which provides a groundbreaking, visionary response to this fundamental challenge facing our nation. View a PDF of FLPC’s statement of support for the Food Recovery Act. Read about the bill on feedstuffs.com. On the evening of November 18th, the students and faculty of the Harvard University community came together for the 7th annual Delta Celebration—a chance to share appreciation for the beauty and culture of the region, and to exchange insights about ways to help confront its challenges. Students and faculty of the Harvard Law School and School of Public Health were joined by special guest speaker Professor John Green, the Director of the Center on Population Studies at the University of Mississippi. 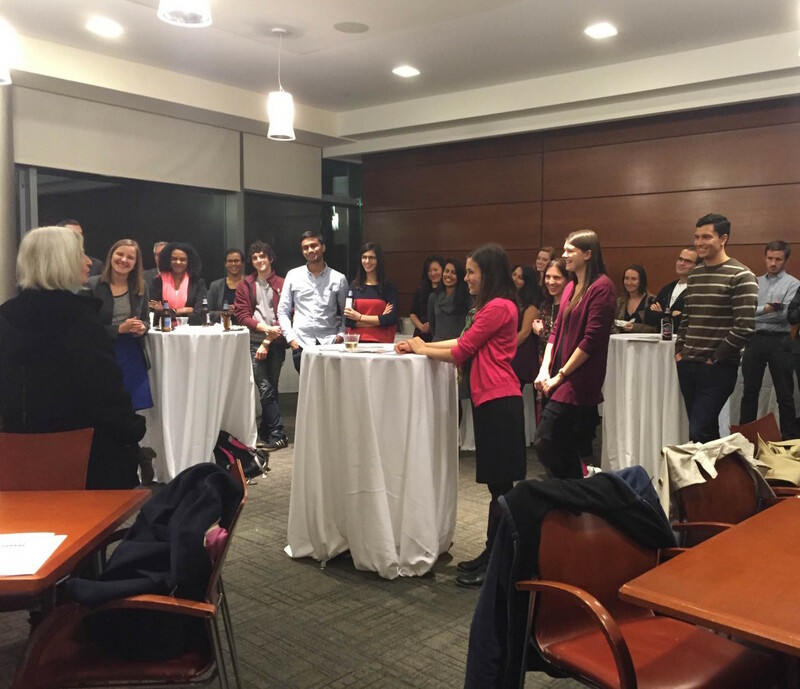 HLS Dean Martha Minow also took the time to attend and give remarks. The Child & Youth Initiative is tackling a delicate but critical issue: the obstacles to contraceptive access in Mississippi and how reducing them could end the state’s high rates of teen pregnancy and sexually transmitted diseases. Dean Minow praised these efforts and the overall commitment to the Delta as a concrete example of students carrying out the HLS mission to advance justice in society. Harvard’s ties to the Delta region extend far beyond Cambridge: two fellows, one each from the law and public health schools, live and work in Mississippi for two year terms. HLS Fellow Desta Reff and HSPH Fellow Maya McDoom gave a glimpse into the crucial work they do to connect the policy research students do in Massachusetts to the needs of government and non-profit organizations on the ground in the Delta. Earlier that day, Professor Green delivered a lunch presentation about innovative methods to undo the confluence of bad trends that lead to negative maternal and child health outcomes in the Delta. By a happy coincidence, a group of Delta region leaders was in town for the Delta Leadership Institute at the Harvard Kennedy School, and the audience swelled as these leaders joined students to hear Professor Green’s remarks. In his concluding remarks, Green first described his reaction years ago when he first heard of Harvard’s new public policy efforts to help the Delta region. “Poverty tourism!” he recalls angrily accusing the Harvard representative. Green said his initial skepticism was borne of his general reluctance to trust ivory tower, feel-good intentions over hard data. But this year, Green made the trek up to Cambridge for the Celebration because he’s been incredibly impressed with Harvard’s community-responsive process and the results Harvard has helped produce. Data has clearly shown that Harvard’s policy efforts can and do help improve realities in the Delta, he said. After the speakers had finished, the assembled crowd of about 50 continued to mingle and network, strengthening the personal connections that will invigorate this important work and facilitate new collaborations and projects to continue contributing to positive change in the Delta region. To stay up to date on our work in the Delta Region and FLPC’s other projects, follow us on Facebook and twitter. On December 3, 2015, Bloomberg BNA published “High Court Considers State Health-Care Databases” by Jacklyn Wille about the value of state health-care databases, which collect information from insurance companies about the services provided to state residents. “Carmel Shachar, a clinical instructor at Harvard Law School’s Center for Health Law & Policy Innovation who filed a pro-database amicus brief, said the justices’ line of questioning was colored by recent high-profile decisions involving the Affordable Care Act, such as King v. Burwell. In that ruling in June, the high court upheld the availability of tax subsidies under the ACA to individuals who purchase their health insurance on the federal health-care exchange. Read “High Court Considers State Health-Care Databases” in full. The Health Law and Policy Clinic (HLPC) and the Food Law and Policy Clinic (FLPC) are now accepting interns for summer 2016. Please see below for details on applying. Tentative dates for the 2016 program are Monday, May 23rd to Friday, July 29th for a minimum of 40 hours per week. There is some flexibility with regard to start and end dates as long as summer interns make at least an eight-week commitment. Students will have the opportunity to develop cutting-edge policy recommendations at the state and national levels in the legislative, litigation, and regulatory arenas. Projects involve informing both national and state level implementation of the Affordable Care Act through regulatory comments and analysis, providing law and policy analysis to national and state coalitions advocating to protect the Medicaid program, developing a national litigation strategy for anti-discrimination and improved access efforts, and investigating best practices for initiatives to increase access to treatment and service programs serving vulnerable populations. Applicants should complete this online form (http://goo.gl/forms/DF9ex7Sx4o) and submit the following materials in one consolidated pdf document to chlpi@law.harvard.edu. Established in 2010, the Harvard Food Law and Policy Clinic (FLPC) addresses the health, environmental, and economic consequences of the laws and policies that govern our food system. FLPC strives to increase access to healthy foods, support small-scale and sustainable farmers in breaking into new commercial markets, and reduce waste of healthy, wholesome food. As the oldest food law clinical program in the United States, the FLPC is a pioneer in the field of food law and policy, and serves as a model for lawyers and law schools entering this field. FLPC interns have the opportunity to practice a number of valuable skills, including legal research and writing, drafting legislation and regulations, commenting on agency actions, public speaking and trainings, and community organizing, among others. Interns also have the opportunity to travel to meet with clients; for example, FLPC travels to work in places like Mississippi, West Virginia, Navajo Nation, and La Paz, Bolivia. Applicants should complete this online form (http://goo.gl/forms/nIgAOWMeqI) and submit the following materials in one consolidated pdf document to flpc@law.harvard.edu.